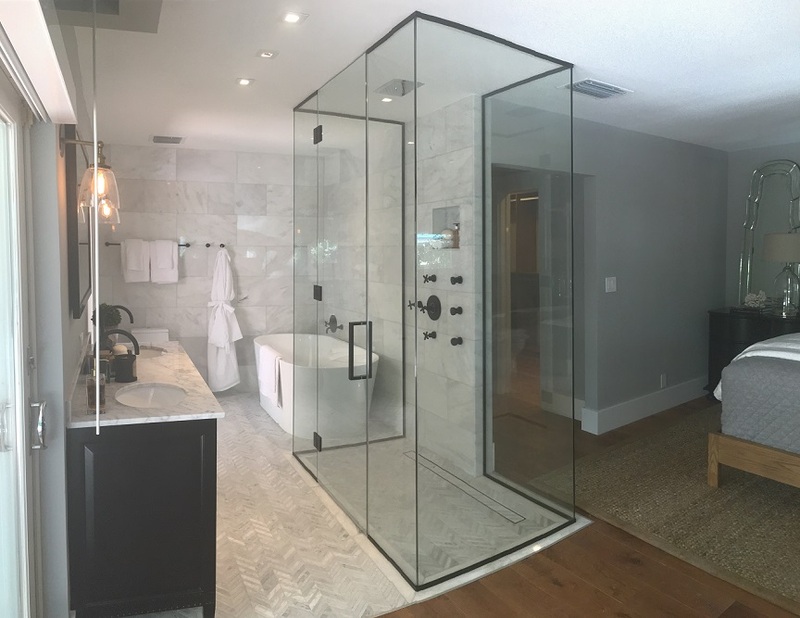 When selecting glass hardware elements, there are many other options to choose from other than the traditional stainless steel finishes. By using products with Matte finishes, it allows for designs to implement contrasting clean lines while adding a unique design detail to any project. 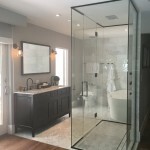 It’s not everyday we are asked to fabricate custom glass enclosures. When a loyal client such as RS3 Designs gives us a call with a unique design in need of fabrication, we are more than happy to deliver! 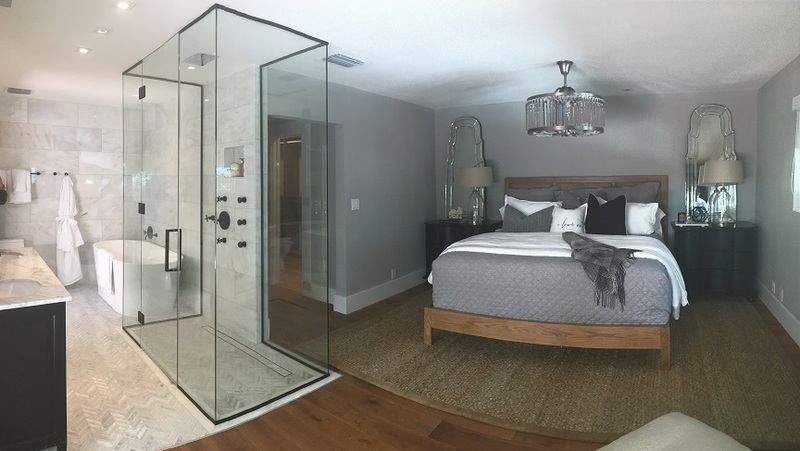 The master bathroom features a custom steam shower glass enclosure in an open concept master suite. 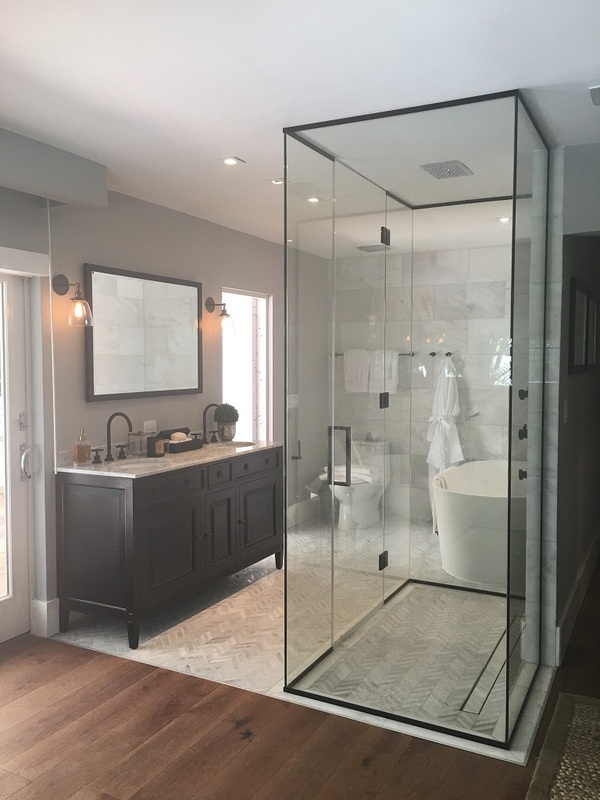 All of the glass hardware finishes were requested to be in a matte black finish, matching surrounding fixtures on the adjacent vanity.